ALL Items Sent From Our UK Warehouse. Same Day Despatch Before 4pm! &###xA0;0203 058 2949&###x200B;&###x200B;&###x200B;&###x200B;&###x200B;&###x200B;&##x200B. 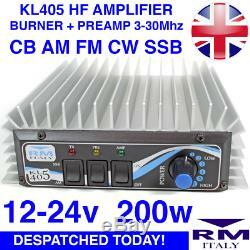 RM, an Italian company, are renowned for producing extremely high quality and finely tuned radio amplification products. The RM KL405 is handmade at RM base in Italy by skilled engineers. 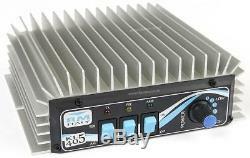 This is the latest version of the KL405, which offers a 3 Mhz-30 Mhz frequency coverage, making it ideal for a wide variety of applications - including HF, SSB, 10m and CB. Easy to use, but feature rich, the 405 enables the user to independently enable/disable both the Pre-Amp and Primary Output Amplifier for flexible operation. In addition the operating mode can be selected via a seperate, third switch. A range of safety features, such as the integrated inversion polarity protection, will protect your equipment and ensure that the 405 has a long operating life, which paired with the 3 year guarantee, gives the user added peace of mind. Easy to connect thanks to 2 x rear SO239 sockets and large screw terminal power connections, the KL405 is quick to install and will look great in any environment. Variable Power Mode Rotary Switch (1-6 Levels). Multi-Colour Indication LED's (Tx On/Off, Pre-Amp On/Off, Amplifier On/Off). 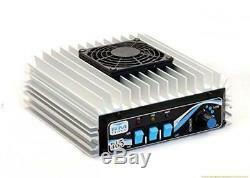 Input Power (Other): 1-10 W. Input Power (SSB): 2-20 W. Output Power: 200 W Max. Antenna Connection: SO239 Female (Accepts Male PL259 Plug). Radio Connection: SO239 Female (Accepts Male PL259 Plug). Fuses: 2x12A (Included and Pre-Installed). Dimensions: 62mm (h) x 170mm (w) x 210mm (d). Weight: 0.98k / 980g. &###x200B;&###x200B;&###x200B;&###x200B;&###x200B;&###x200B;&##x200B. Items sent to remote UK destinations&###xA0;courier to the following postcodes may incur a surcharge:&###xA0;AB36-38, AB55-56, FK17-21, IV1-39, IV52-54, IV63, KW1-14, PA21-40, PH19-26, PH30-41, PH49-50, &###xA0;HS1-9, IV40-51, IV55-56, KA27-28, KW15-17, PA20, PA41-49, PA60-78, PH42-44, ZE1-3, &###xA0;AB36-38, AB55-56, FK17-21, IV1-39, IV52-54, IV63, KW1-14, PA21-40, PH19-26, PH30-41, PH49-50, &###xA0;Isle of Wight, Isle of Man, Scilly Isles, Channel Islands. Some remote international destinations may also incur a surcharge. Any product you return must be in the same condition you received it and in the original packaging. 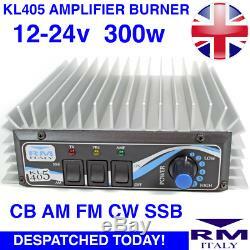 The item "RM KL405 3-30MHz 60w 200w Linear Amplifier Burner + PreAmp AM FM SSB CW CB HF" is in sale since Wednesday, April 26, 2017. This item is in the category "Mobile Phones & Communication\Radio Communication Equipment\Ham/Amateur Radio\Ham Radio Amplifiers". The seller is "tech-megastore" and is located in GB. This item can be shipped worldwide.